I am just after doing a kick sample in my local river and the only thing present was the following. They are very small, about a size 18 with a tapering body and no tail. 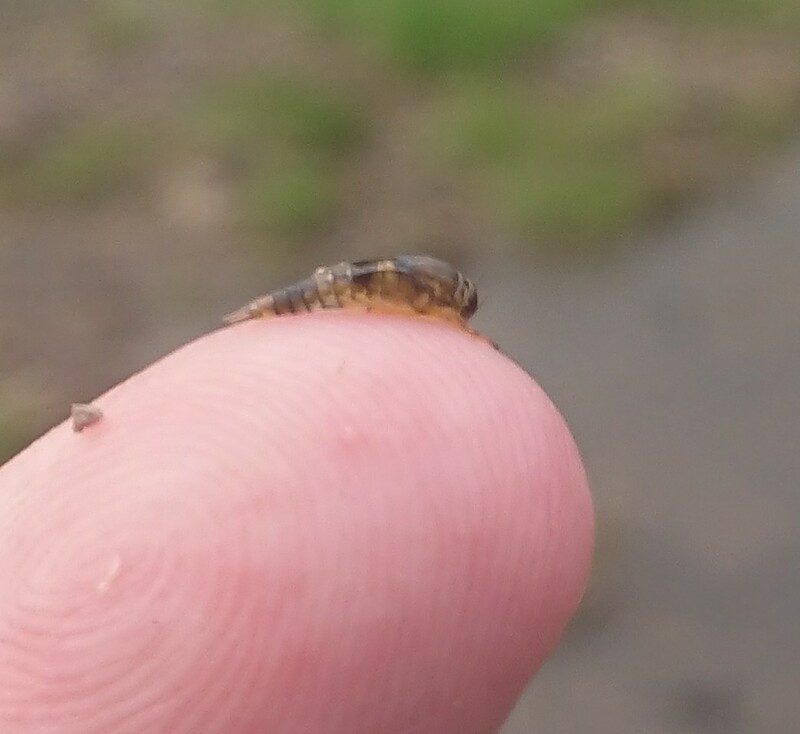 When I first saw them I thought they were midge pupa but looking at photo it seems more like a variety of mayfly nymph. 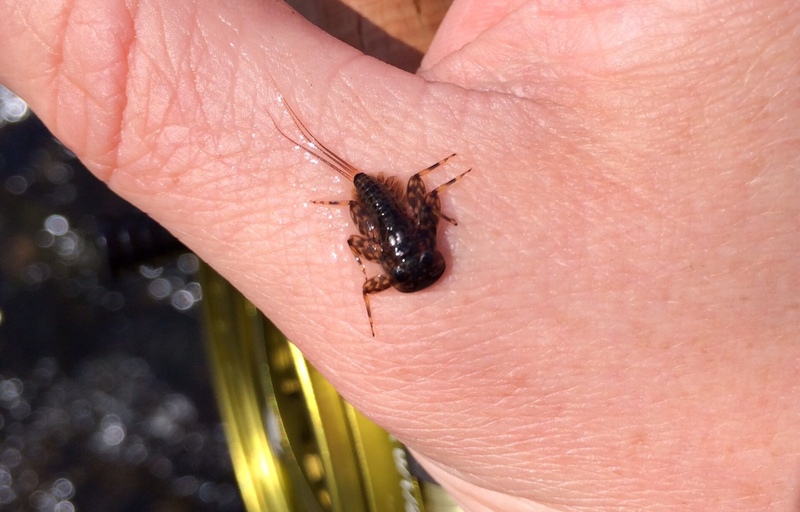 Perhaps baetis nymph or BWO nymph? Tough to tell with the photos, I had the phone in an unwieldy waterproof pouch! From above that looks more like an olive with its wings ready to burst, the tail's probably been kicked off in the sampling process. Yes I think the tail got damaged by the sampling process alright. I wish I had taken better photos! 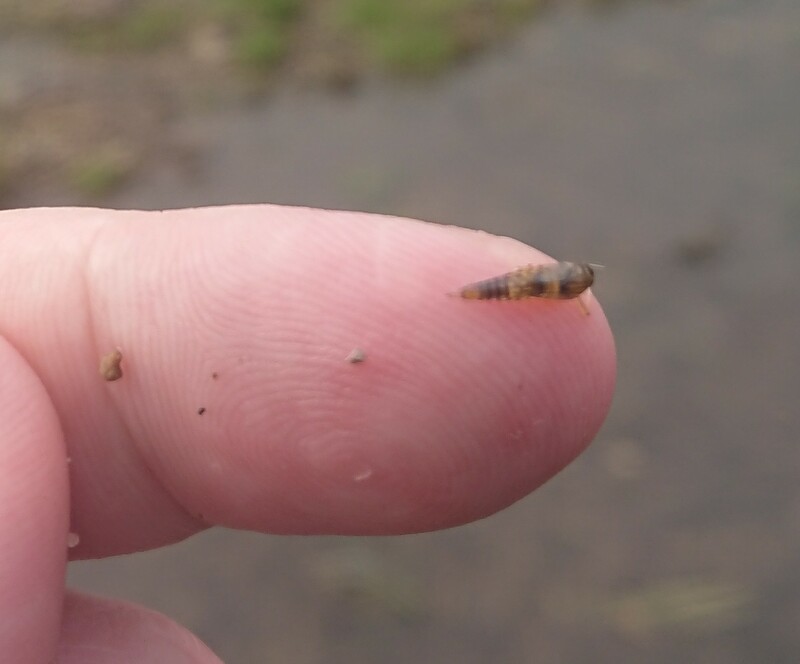 Well I got my one fish of the day on a size 18 olive emerger pattern so the sampling was definitely worthwhile! Agreed, sampling informs both your tying and choice of fly, anyone fishing a blue winged olive hatch with anything over a #20 is missing the basic size match by a fair old margin yet I see them on displayed on #16s and up which dwarfs the natural.